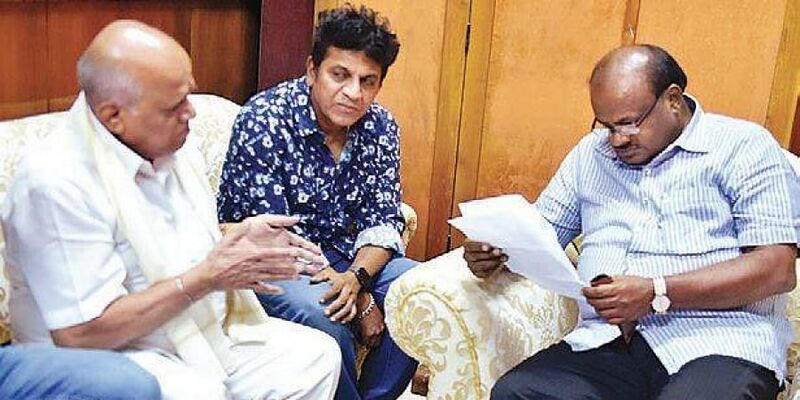 BENGALURU: Actor Shivarajkumar and S A Chinne Gowda, president of the Karnataka Film Chamber of Commerce (KFCC), on Thursday met Chief Minister H D Kumaraswamy and sought permission to exhibit publicity material to promote the Kannada film Villain.The film will be released on October 18 and the film crew want some places to put up film posters for publicity. Following a HC directive and subsequent order by the BBMP chief, the city has been shorn of all publicity hoardings pending the implementation of a proper advertisement policy. The High Court had recently asked the BBMP to ensure that illegal hoardings be removed to help the city regain its lost beauty.